American schooner Stephanie, captured by the Acasta, August 2, 1814. 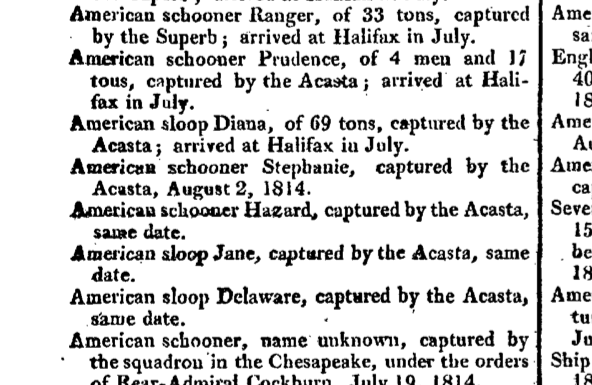 American schooner Hazard, captured by the Acasta, August 2, 1814. American sloop Jane, captured by the Acasta, same date. American sloop Delaware, captured by the Acasta, same date. Invite your friends and stay tuned for further developments! It's just like SHARK WEEK, except MEANER!